A shelter is opening in New York City that will provide support for domestic violence survivors and their pets. The Urban Resource Institute announced PALS Place, a seven-story shelter that will have the ability to house up to 100 survivors and their pets in Brooklyn. Dr. Carla Smith, Chief Program Officer at the Urban Resource Institute, said victims of domestic violence are sometimes put in a tough spot when trying to leave a harmful relationship because many shelters across the country don't have the ability to take in pets. "[URI] learned through our research and studies that 48% of victims stay in abusive situations because they don't want to leave their pet behind," Dr. Smith said. "Pets are part of the family." 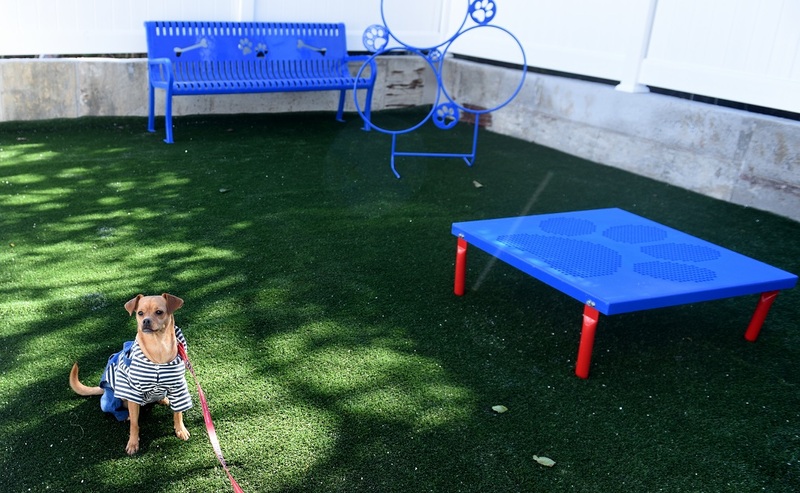 The seven-story facility has units with kennels, leashes, and a backyard dog run and will begin housing residents in December.